The European People’s Party (EPP) does not want to raise tensions with its ‘bad boy’ Hungarian Prime Minister Viktor Orbán because this might push him towards joining Italian populist Matteo Salvini or even far-right Marine Le Pen, a Christian-Democrat (CDU) politician told EURACTIV Germany in Berlin. >>Read the article in Romanian. The issue came to the fore after Orbán launched a campaign that berated European Commission President Jean-Claude Juncker, who responded by saying Orbán should leave the conservative EPP, Europe’s biggest political family. EURACTIV contacted a number of EPP parties across Europe to determine if they agreed with Juncker. Most of them indicated they prefer a less radical approach. Speaking on condition of anonymity, the CDU member said that the prospect of expelling Viktor Orbán from the EPP is bringing up ‘heavy discussions’ within the CDU parliamentary group in Berlin, with himself and other MPs expressing concern that he may go and create alliances with Matteo Salvini and France’s Marine Le Pen as well. “If we reject him, then we are pushing him into the arms of Salvini,” the CDU member said. 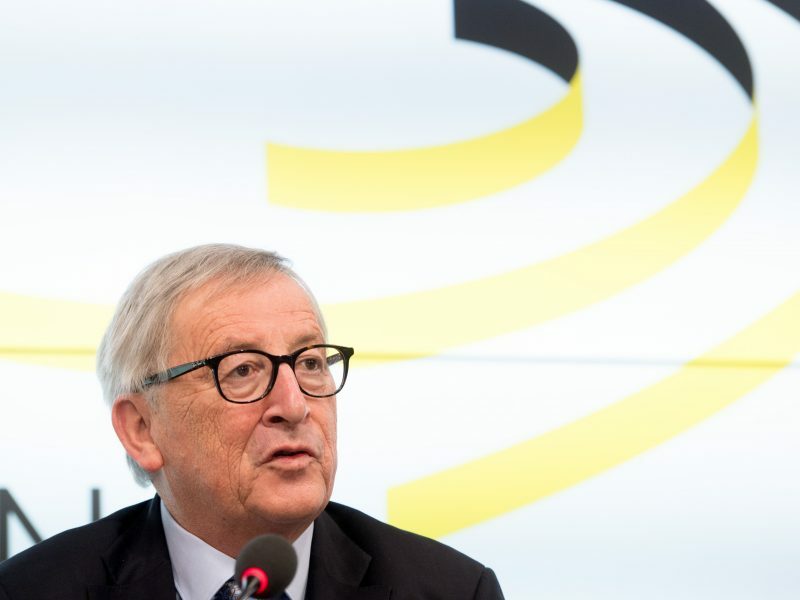 Commission President Juncker, himself a member of the centre-right EPP, said on 19 February that Orbán should leave the EPP. Critical voices against Orbán in the EPP have increased lately, especially after the Hungarian government unveiled a new poster campaign accusing Juncker and US investor and philanthropist George Soros of wanting to flood Hungary with migrants. “I’d like to remind PM Orbán that decisions in Brussels, including on migration, are taken collectively by EU governments and the European Parliament, both of which include Hungarian representatives. Instead of casting Brussels as a ghost enemy, Hungary must realise it is a part of it,” EPP President Joseph Daul tweeted. On the other hand, EPP’s Spitzenkandidat Manfred Weber has said he will work as a “bridge” with the rising voices in the EPP’s right wing. For Czech MEP Tomáš Zdechovský (EPP), the statement against Juncker was “typical” Orbán behaviour. “He is from the EPP but he never supported Juncker and his policies,” Zdechovský told EURACTIV. “If he continues like that after the EU elections, we should expect some action from some EPP parties,” he added. “There are a lot of voices among EPP members that say that if Fidesz does not change its behaviour and continues to destroy democracy in Hungary, it should be excluded,” said Róża Thun, a Polish EPP MEP. “I, myself, will do my best to make Fidesz leave EPP,” she added. 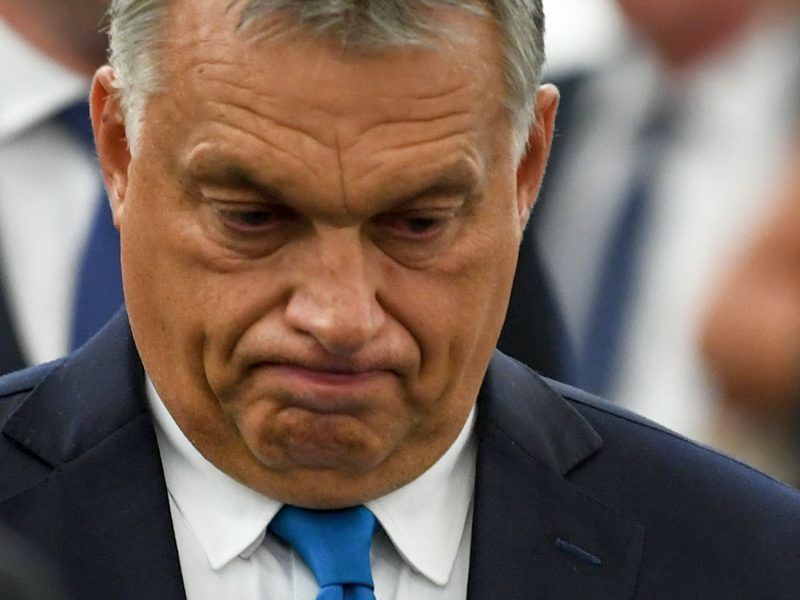 However, an EPP source told EURACTIV.com that if the the party loses many votes in the next EU election, then “no one will touch Orbán”. Publicly, two EPP member parties have spoken out against Orbán’s anti-EU behavior. One of them is Austria’s People’s Party, which said this week the EPP membership of Orban’s Fidesz party should be frozen. “The EPP has finally replied to Orbán,” Austrian MEP Othmar Karas said. He also regretted the fact that EU member states did not continue the punitive proceedings against the Hungarian government under Article 7 as the European Parliament suggested. The European Parliament held a highly incendiary debate about Hungary on Tuesday (11 September), ahead of a vote on whether to trigger Article 7 against the country, exposing serious internal divisions in the European Peoples’ Party, which includes Hungarian Prime Minister Viktor Orbán’s party. Greece’s New Democracy leader Kyriakos Mitsotakis has said the EPP cannot and will not compromise on issues that relate to its core democratic values and principles. 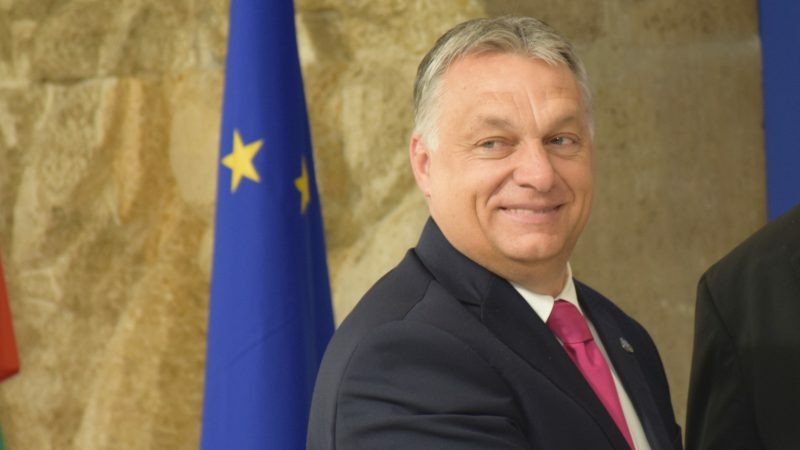 “New Democracy’s position on Mr Orbán is self-evident, as Mr Mitsotakis has repeatedly disagreed and clashed with him both in the context of the EPP and other international fora on his positions migration and has highlighted the need to find an EU solution on this issue,” New Democracy told EURACTIV.com in an emailed response. However, New Democracy did not specify if this stance means it wants Orbán out of the EPP. According to EURACTIV Croatia, centre-right Prime Minister Andrej Plenković (HDZ party/EPP) said Orbán had made a mistake by attacking Juncker but he remained silent over whether Orbán should stay or go. EURACTIV Croatia understands that Plenković is criticising Orbán on one hand, but on the other hand doesn’t want to oppose him too strongly because, the Hungarian oil company MOL is the co-owner of Croatian oil company INA with the Zagreb government, and the two are locked in a legal dispute. A source from the French Les Républicains, played down the talk of an EPP divide. “It’s the DNA of the Right to have very different components” a source from the French right told EURACTIV France. Similarly, a politician of an Italian EPP-affiliated party said none of the parties belonging to the EPP’s Italian delegation are hostile to Orbán. “It’s just something that has never officially been on EPP’s agenda, I don’t know what we are talking about,” he said, adding that Orbán’s party is not only a member of the EPP but also of the Centrist Democrat International (CDI), closely tied with the core values of the political family. He also said the EPP’s Luxemburgish party (CSV) had always been more determined on kicking Fidesz out of the EPP and that Juncker probably said that as part of CSV’s own campaign. hahah @EuractivEditor already starting to whitewash the GR PMtoBe….then how about also writting about the wonders of the Greek revolutionary government regarding free speech and banning journalists from ‘open to public’ events?….or is it that the left censuriship and violence is acceptable?